Click VIRTUAL MEDIA link at top right to see VIDEO. Enjoy wide open spaces inside and out. All rooms are large, and there's a big fenced back yard with a brick patio. Tastefully decorated, and ready for an easy move-in and immediate enjoyment. The first floor offers a dramatic 2 story foyer and 9 foot ceilings the rest of the way through. There's a spacious great room with fireplace, dining room and enormous kitchen that all open to each other. Round that out with a half bath and a separate laundry room with storage cabinets. Upstairs you'll find 3 very large bedrooms and two baths -- and the master suite offers a spacious bathroom with separate shower and whirlpool type tub. Generous closet space throughout, and a two car attached garage. 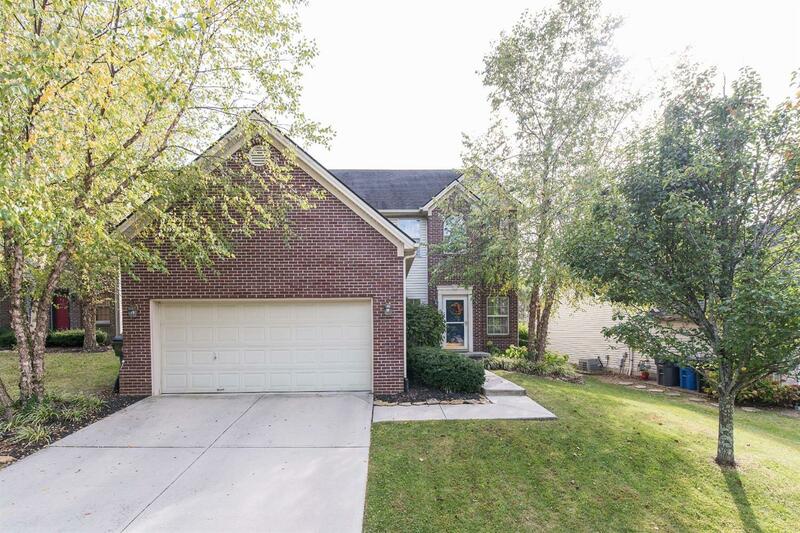 Pretty and practical at the same time, and with the convenience of the Tates Creek corridor. Kitchen and laundry room appliances stay. Hurry!